Don’t shoot the messenger. But the word on the wire at the Edinburgh Film Festival, where Meg Ryan’s Ithaca is making its UK premiere, doesn’t bode well for the actor’s directorial debut. Set in the titular city post-Pearl Harbour, it’s the story of a teenage boy who delivers telegrams to the townspeople during America’s involvement in the Second World War. An attempted contemplation of the ill-effects on those helplessly left at home waiting on word of sons, husbands and brothers abroad, it grapples desperately for the grandeur of Greek mythology or the high-minded filmic philosophising of Terrence Malick but achieves neither. 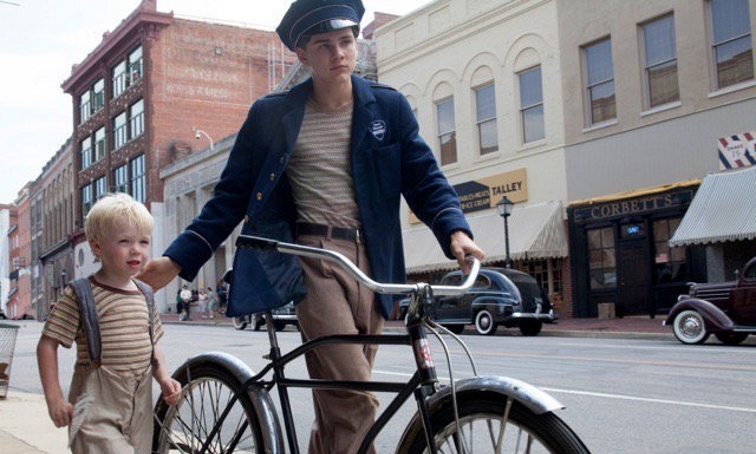 Adapted from William Saroyan’s 1943 novel The Human Comedy by screenwriter Erik Jendresen, its premise is simple: Homer Macauley (Alex Neustadter) wants to become the best messenger his home town has ever seen and learn a lesson or two about becoming a man along the way. After the death of his father (Tom Hanks, in an inexplicably perfunctory spirit-like cameo) and departure of big brother, Marcus (Jack Quaid), to Europe, he is the man of the house and bread needs to be won. Seeking to help out his mother (a vacant, lifeless Ryan), sister Bess (Christine Nelson) and younger brother, Ulysses (Spencer Howell), the more deliveries and pick-ups he makes the better. Looks of indignation on the faces of a cast loathe to enunciate such drivel beg the question as to how the project proceeded without going back to the drawing board. Despite having only a marginal role herself, in trying so hard to be thought-provoking and profound, Ryan forgets to develop character past the planning stages, resulting in no emotional involvement at all. On a par with the prompt delivery of telegrams, running the 220m hurdles is a big deal for the locals in Ithaca. Ironic, then, that Ryan’s film hits each and every one and should probably be disqualified outright. The 70th Edinburgh International Film Festival takes place from 15-26 June. For info visit edfilmfest.org.uk.